Quickly restores, and polishes to a brilliant high gloss shine. Simultaneously adds unique non-stick acrylic protection that is both weather-proof UVA UVB SPF 30 & scratch resistant. this picture was taken after one application"
All paintwork, fiberglass, gel coat, aluminium, chrome, brass, stainless steel, silver, carbon fibre, GRP & composites. Clear coat safe. 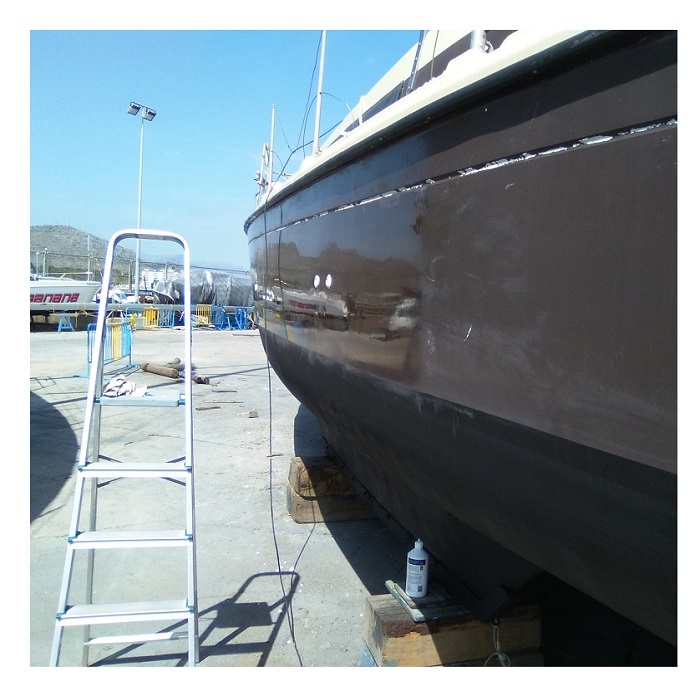 On dull, oxidized surfaces needing shine and restoration; after wet sanding / compounding (instead of glazing, polishing, waxing); and, when repainting, helps old paint match with new paint. 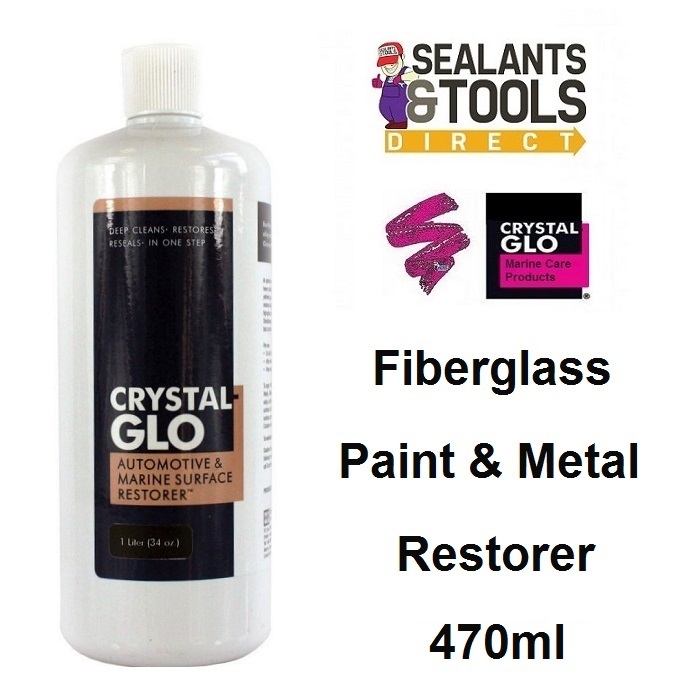 Combines the unique restoring ability of Crystal-Glo Polishes with more cleaning power and super-fine abrasives. Adds acrylic protection that is impervious to road grime, salt, corrosion and acid rain. Compounding & Refinishing: Eliminates compound swirl/wheel marks, revitalizes colour intensity, and improves gloss levels. Makes reconditioning much easier, with less clean up & no messy residue, dust or flakes. Contains no silicones or wax. Superior to rubbing and polishing compounds. For best results use with a machine polisher/buffer.